You are so sweet. I told my Mom about your blog (hope that was OK?) she said it's really cute and love your style choices! Hi runaway gallery-it is actually a clutch-haha!! Hi fashion chalet-of course thats fine-I'm flattered she likes my blog!! Hi Acielle-yes it's a real cutie!! Hi elle-I love Net a porters website too!! 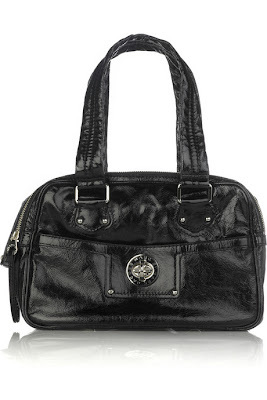 the marc jacobs bag is so practical and stylish...i love it! Hi cupcakes and cashmere-yes, its very stylish and versatile!! 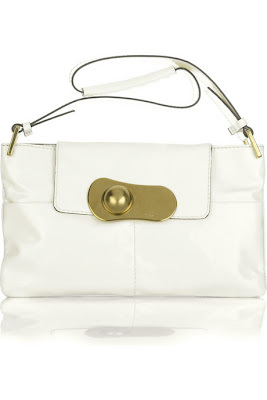 The Marni clutch is so darling! I love the second purse! I love that little Marni clutch . . . I definitely assumed it was a coin purse when I posted it, though - oops! aw, what a sweet comment. thank you SR! * you're so nice. I love the Marc Jacobs bag above (: great pick! 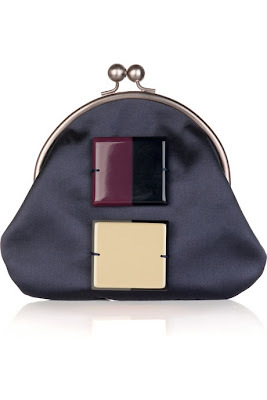 I seriously must have that Marni clutch. why do I want everything from marni?? So much fun! Did you purchase anything? Thanks for the tip!! I love the chloe one especially. One Marni and one Chloe por favor! Hi boho chic-thanks and thanks for stopping by too! Hi atelier-yes, I love this one too! Hi couture carrie-yes, I had to check out the model carrying it, as I thought it was a coin purse at first too!! Hi fashion chalet-you're welcome-yes the MJ bag is lovely!! Hi vain and vapid-yes, this is really nice!! Hi pamcasso-yes, I know what you mean-haha!! Hi asiancajuns-I'm on a self imposed shopping ban, after Friday plus the Chanel bag too, I've got to save up now-haha!! Hi Jen-thanks!! Yes, I'm loving this one too!! Hi pam-haha, I aim to please!! Hi angelgrotton-thanks, I love this one too!! Hi Sharon, thank you so much for the welcome back! Now i have to read everything you wrote these weeks, i missed your blog when i was away on business. Actually i'm looking for a dressy clutch, i have a wedding in august (i guess it will be too hot). Hi alice-thanks so much and nice to see you back!!! i love the second one... really adoreable! Hi Sharon, thank you for that lovely comment on my feature! I am all over this sale and have my eyes set on several of the DVF dresses, such bargains. Love it! Actually, I'd love the pink one to carry all my stuff. Make a great bag for school. But I doubt I'd ever get to take it to school. Hi fashionpuppy-yes, a real vintage piece!! Hi Silje-yes, there are some gorgeous things on Net a Porter-its what to choose, thats the thing!! 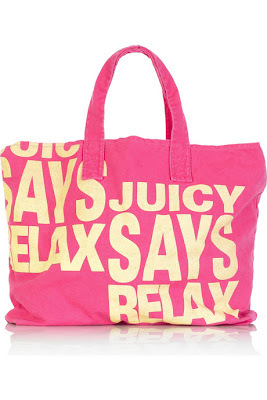 Hi Ellie-yes, the juicy tote looks really versatile!! Ooh I LOVE the first bag! Cute bag. Hi rose valentine-thanks for stopping by, so kind!! That coin purse is awesome!!! Oh your welcome! Thanks for visiting! Please come again. :)Your blog is so cute. Hi beka-thanks and thanks for stopping by!! Hi rose valentine-thanks so much!! I love the marc jacobs one! Hi mira-yes, I agree-this one is totally gorgeous-thanks!! I really like the bag from Chloe and the one from Marc Jacobs! Hi marte-yes, they are both really gorgeous-thanks! !